I'm excited to be participating in a blog tour for Amy Fellner Dominy's newest YA novel, The Fall of Grace. You may remember my book review for Fellner Dominy's Die For You around this time last year. I'm reading The Fall of Grace right now and enjoying it so far. Check back for a full review next week. 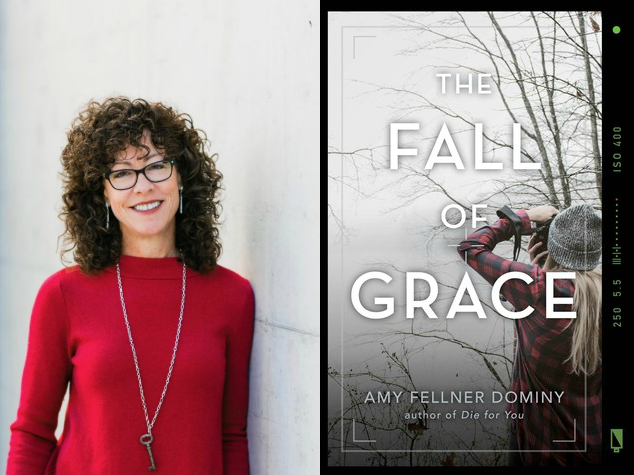 Keep scrolling for more about The Fall of Grace, a Q+A with Amy Fellner Dominy, an excerpt from the new book, and your chance to win two signed books! Synopsis: Her perfect life was a perfect lie. Introduce us to Grace and her mother, Janelle. Grace is 17, an aspiring photographer who prides herself in finding beauty in the world. Her mother is one of her favorite subjects. Janelle Pierce is glamorous, sophisticated and ambitious—she raised Grace all by herself while building a successful financial business. Grace loves her mom more than anything, and she knows her mother loves her. A mother always loves her daughter. Doesn’t she? What would be your elevator pitch for The Fall of Grace? The Fall of Grace is an adventure-suspense-survival-road-trip-romance. What sparked the idea of writing The Fall of Grace? It started with Bernie Madoff. I followed the story of the Ponzi scheme he ran—the biggest financial fraud ever that destroyed thousands of lives. I couldn’t imagine how someone could do that. Then I read that one of his sons committed suicide. That stuck with me—the thought of a child discovering that their parent was a monster. What would that be like? The shame. The sense of betrayal. And what about guilt by association? How would you survive that? That image eventually lead me to The Fall of Grace, and a first scene where a girl is at the bus station, carrying a knife and a backpack. She’s desperate. She’s on a journey. She’s hated. The issues with a father became issues with a mother who was not yet dead…but perhaps dying. Did you do any research for this book? If so, how did you go about it and why did you feel it was necessary to do so? As the book began to take shape, I knew I was going to have to do a lot of research. There were so many things I knew nothing about—photography, strokes and comas, the FBI, financial crimes (or financial anything.) The one thing I thought would be easy was the hiking part. Wrong! Even though I’m a hiker, I needed to be familiar with a specific hiking trail. That meant researching mountain trails. Once I settled on Blue Lakes in Colorado, I had to do the hike myself, following Grace and Sam’s path—including taking a wrong turn. I actually like the research part because I’m learning about interesting things. I about got myself arrested taking pictures of the US Marshals office (not a good idea), but it was very cool meeting with a Federal Prosecutor. The things I learned helped shape the book and I hope that comes through on the page. Photography plays a crucial role in the book. Are you a photographer yourself? If not, why did you choose this particular talent for Grace—and Sam? I’ve always loved photography though I didn’t know much about it other than “point and shoot.” Doing the research was fun but I also discovered there’s a lot of math to it. I struggled to understand f/stops and apertures. I really wanted them to be photographers because it fit with the greater themes. Grace prides herself on seeing truth in the lens of her camera—but she doesn’t see the truth of her mother. It got me thinking about what do people hide from us—what do we hide from others? I also loved that photography is about the balance of light and shadow. It felt like a perfect fit because Grace and Sam are both dealing with the fact that this is true of people, too. What was most challenging part of writing THE FALL OF GRACE? Why? The title is perfect. Did you know what you were going to call the book immediately, or did the title come later in the process? Share a bit about you with us. Have you always wanted to be a writer? What kinds of books do you enjoy reading? What are your hobbies? What is your go to book/music/movie recommendation of the moment? When I’m not writing or reading, I want to be outside. I play tennis and golf. I run, hike, and bike. Pretty much anything that doesn’t require snow or speed—I’m a wimp who is always cold. Book of the moment: I just re-read Speak by Laurie Halse Anderson. Amazing! Have you been betrayed? If so, how did you come to terms with it—or the person who betrayed you? I never thought of it as a betrayal—not until I wrote this book. But I always had an uneasy relationship with my stepmother who raised me. I had an idea in my head of what a mother-daughter relationship was supposed to be. I read about them every year on Mother’s Day when I went to buy a card at the store. And as much as I wanted a loving mom, I didn’t have that with my stepmother. It’s something I struggled with. They say writing can be therapy, and I think that’s part of what drew me to this story. Grace thinks she has a loving relationship with her mom, but discovers that perhaps she never really did. 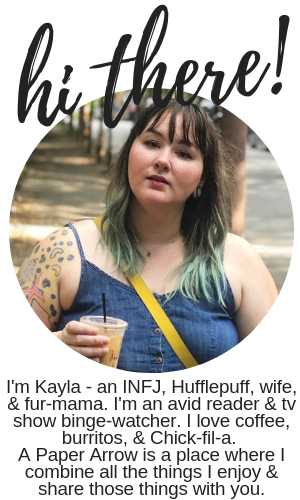 How does she come to terms with that? How do any of us handle imperfect family relationships? After all, these are the people who are supposed to love us the most. In writing this story and letting Grace and Sam work through those questions, it allowed me to do the same. Without giving away the ending, I hope this is a journey that will help readers who grapple with the same issues. Instagram is my new favorite hangout: amydominy. Look for me there! I’m also on Twitter (@amydominy), Goodreads, and Facebook (amyfellnerdominyauthor). The doctor looks up. He’s silver-haired with olive skin and dark eyes. Striking. Mom would like him. I nod, but I can’t absorb it. There are so many machines. Lights flashing. Numbers beeping. As the doctor begins to speak, his voice is too smooth. I can’t hold on to any of the words. Left frontal lobe arterial bleed. There’s a tube in her mouth, tape holding it in place. Blood in the brain tissue. An IV in her left arm. We intubated her to protect her airway. Another IV threaded into her right wrist. “Grace,” Cecily says, the urgency in her voice breaking through. I realize then that the doctor asked me a question. His eyes flicker at the word shock. Accused of fraud by the FBI. Is that what he’s thinking? Has he seen the news? Excerpted from THE FALL OF GRACE. Copyright © 2018 by Amy Fellner Dominy. Reprinted with permission. All rights reserved.